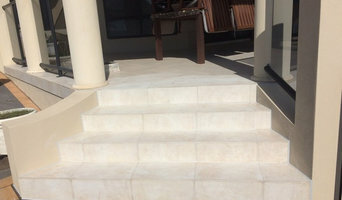 Northern Rivers Carpentry & Maintenance (NRCM) is based in Lismore and services from Byron Bay to Casino and everywhere in between. NRCM is a sole trader business and Dave is the experienced and licensed carpenter and business owner, who is reliable and always strives to provide the best results. Like the name suggests NRCM offers larger carpentry work as well as general maintenance. With over 15 years experience in the residential and commercial construction industry, Dave has the knowledge and skills to bring your project to life and exceed your expectations. Dave is honest and friendly and is always respectful of his clients property and considerate of their privacy. Bare Hands Carpentry and Design focus on bringing artistry into everything we do. Based within the Shire of Byron Bay NSW we can offer creative and beautiful solutions for your home or business from here to the Gold Coast or travel further for custom creations of a larger scale. The work of carpenters in Bexhill, New South Wales is wide and varied, so many choose to specialise in a particular line of work. Any qualified carpenter in Bexhill, New South Wales should be able to perform general carpentry work involving framing and the installation and repair of timber structures and fixtures, while other jobs may require a specialist. Scroll through this page to find carpenters and woodworkers in Bexhill, New South Wales. You can browse their latest projects, read reviews and see how other homeowners rate their work, and message them directly.